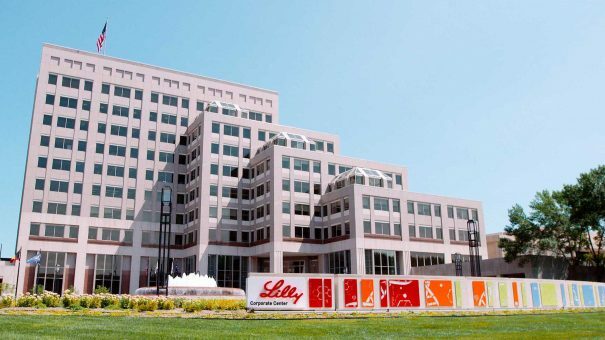 Eli Lilly has opted to end a phase 2 rheumatoid arthritis (RA) trial of a drug it is developing with Korea’s Hanmi Pharmaceuticals, according to press reports. The Korea Biomedical Review cited a regulatory filing where Hanmi said Lilly had decided to end phase 2 trials of its selective Bruton’s tyrosine kinase (BTK) inhibitor LY3337641/HM71224 in RA. Interim results show the study will miss efficacy targets, according to the report. Lilly plans to develop the drug for other indications, although it gave no further information about these other uses. According to the companies the molecule could also be a potential treatment for lupus, lupus nephritis, Sjogren syndrome and other related diseases. However other BTK inhibitors such as AbbVie/Janssen’s Imbruvica (ibrutinib) and AstraZeneca’s Calquence are already approved in several different types of blood cancer, making this a possible line of research for the Korean firm. Hanmi and Eli Lilly began a development and marketing deal in 2015 for the drug. Lilly received worldwide rights to the molecule for all indications excluding China, Hong Kong, Taiwan, and Korea. The US firm also took responsibility for development, regulatory filings, manufacturing, and marketing for the molecule in its territories. Lilly paid Hanmi $50 million up front and agreed to pay a further $640 million in potential development, regulatory, and sales milestones. If the BTK inhibitor is marketed, Hanmi would also be eligible for tiered double-digit royalty payments. Aside from Eli Lilly, Hanmi is working with some other big names in the pharma industry. It is working with Sanofi on a next-generation long-acting GLP-1 diabetes drug, efpeglenatide, which could be administered just once a month, instead of every week or every day, and is in phase 3 development. According to Hanmi this could be a potential ‘best in class’ drug, and competitor to Novo Nordisk’s recently approved weekly Ozempic (semaglutide), as well as Lilly’s well-established Trulicity (dulaglutide). Further back in the pipeline it is working with Janssen on HM12525A, a phase 1 GLP1 and glucagon dual receptor agonist in diabetes, which is administered once a week. Hanmi is also developing a phase 1 cancer drug HM95573 with Genentech, which inhibits rapidly accelerated fibrosarcoma (RAF).